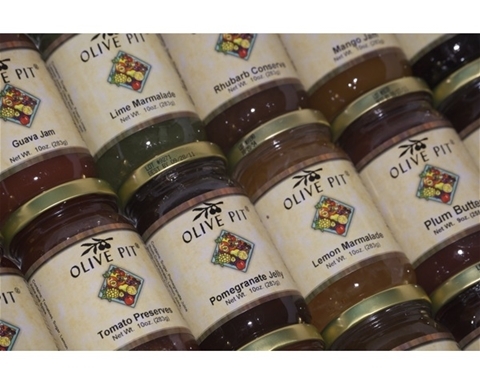 These variety of butters, jams, jellies and preserves will make a hit with everyone in your family. Apple, Plum & Pumpkin Butter comes in 9 o.z.all others are 10 oz. Imagine any of these mouth-watering jams on a hot, buttery biscuit in the morning with your coffee Try Kadota Fig Jam; a dark honey-colored fig jam with a hint of lemon spread on a toasted English muffin. Or try the Four Berry Preserves as a topping on vanilla ice cream! My husband and I stopped and picked up some on our way back home from vacation this stuff was so good I have used did even as a topping on ice cream it is amazing I can't wait till I can get some more. on 11/4/2010 Pumpkin Butter is oh so good! This pumpkin butter is excellent! While traveling we stopped by the Olive Pit (like we always do when passing through the area) and I had a sample of the pumpkin butter. It is sooo good! I bought a few jars and they are already gone so I am ordering more now. The girl at the tasting bar said that they also use this in their pumpkin butter milkshakes so of course I had to try one and let me just say wow! I'm officially addicted!